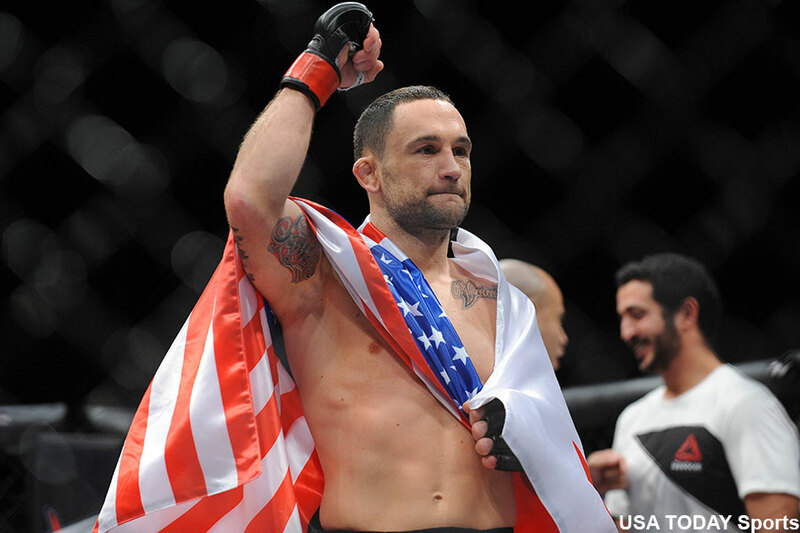 On Thursday, a featherweight affair between former top contender Frankie Edgar (pictured) and up-and-comer Yair Rodriguez was announced for UFC 211. The May 13 event takes place inside American Airlines Center in Dallas, Texas. Edgar has won six of his past seven fights. Unfortunately for “The Answer,” his lone loss during his current run came two outings ago against Jose Aldo for the interim featherweight title. Edgar was most recently seen beating Jeremy Stephens in November. Rodriguez is one of the game’s most dynamic strikers. He’s fresh of January’s TKO victory over BJ Penn at UFC Fight Night 103. “Pantera” will be riding an eight-fight winning streak into the tango.